This raid was conducted at a medical marijuana facility in San Diego. The facility was used to distribute CO2 extracted medical cannabis products. CO2 extraction involves the use of super critical carbon dioxide as a solvent to extract essential oils from plants. In the case of medical marijuana, the oils are extracted from mostly the trim of marijuana plants to make oils and tinctures that can be used for various medical applications. It has been alleged that in the process of this raid, the DA’s office seized all inventory, business records, and a large amount of cash that is approximately $324,000. 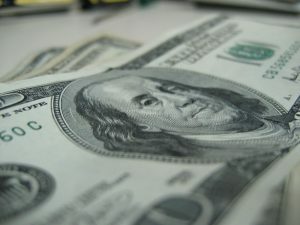 In addition to the business assets, the DA’s office also froze several of his family’s bank accounts in the name of his wife and her daughters. This money totaled around $100,000. Business owner’s attorney argued that this money is not part of any case and should be returned to business owner and his family. The judge agreed and issue the order that this money be returned or otherwise repaid so the family can be made whole again with respect to their personal financial loss. There is a lot of confusion in the medical marijuana industry at this time. While there is no question that it is a lot of money to be made, there are seemingly ever changed local, state, and federal laws that can have significant effects on the business. There is also a lot of flux in whether or not the federal government, particular the U.S. Drug Enforcement Administration (DEA) will enforce the federal prohibitions against medical marijuana. The last presidential administration chose not to do so, and even the current congress supports that position. However, President Donald J. Trump recently stated that congress could not stop him from cracking down on medical marijuana, and he appointed a head of the justice department who has said “good people” do not use marijuana. With all of this change happening, the best thing someone in the cannabis industry can do is to speak with an experienced medical marijuana attorney in Orange County. There are many attorneys that have started advertising that they handle medical marijuana cases now that they see how profitable the business has become. However, you want to make sure the attorney you chose has been in the business for much longer than that and genuinely understands the issues medical marijuana business face. In addition to drug laws, law enforcement agencies on a mission to bust medical marijuana businesses will often rely on local ordinances and zoning regulations to force a business to close or to seize assets. That is what appears to be happening in the case involving this particular business owner. You should discuss these issues with your medical marijuana attorney as well.